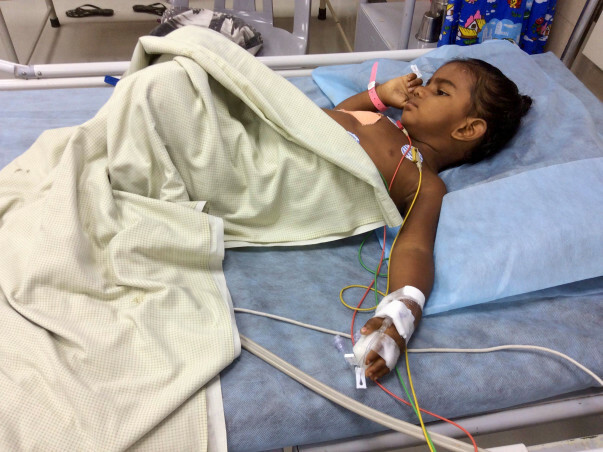 Help Save 2-year-old Baby Girl Fighting A Severe Lung Infection! Surnamugil, 2 years and 2 months old is the youngest member of her family of five. They were not very well off, but were very happy in their little world. She is the everybody's favourite, especially of her brothers, who enthusiastically teach her to write and recite. 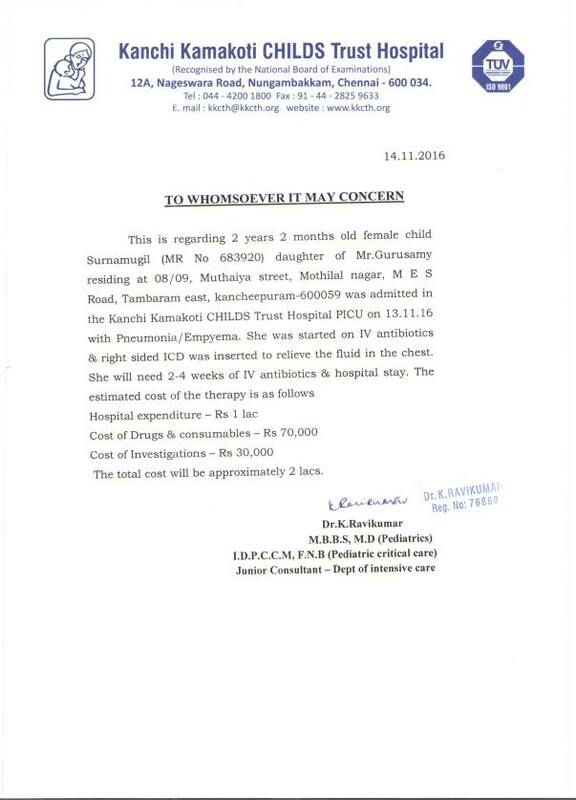 Now, the little infant has been diagnosed with Pneumonia/Empyema. Currently, Surnamugi is in paediatric ICU , and will remain there for the next 3 days. If she is stable and normal after that, she will be shifted to a normal ward. She has two elder brothers, one in the fifth standard and the other in college. Her father is a Lungi and Dhothi salesman who earns around 10,000 rupees a month, of which he spends 2,500 on rent. 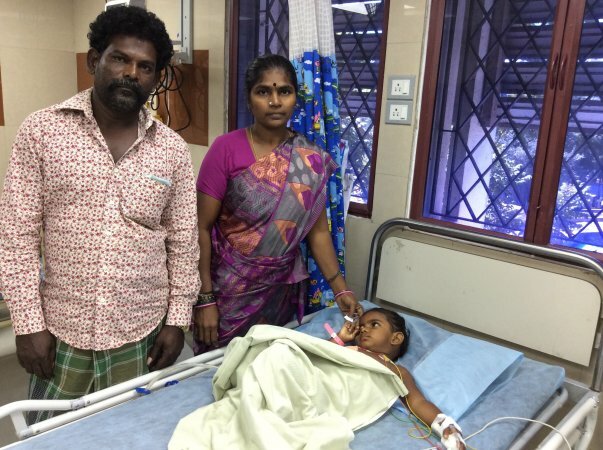 Her parents have already spent around 48,000 rupees on her treatment. The family had to close their only bank account and have sold everything possible, including her mother's mangalsutra. Gurusamy has also spent all the money he had kept aside for his purchase of raw material. They have sought help from every person they know and have also taken smaller amounts as loan from personal contacts. They now spend each moment banking on the generosity of each supporter. 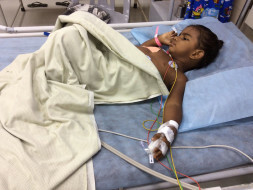 Your support could help this little one live. Surnamugil was discharged on 8th December. 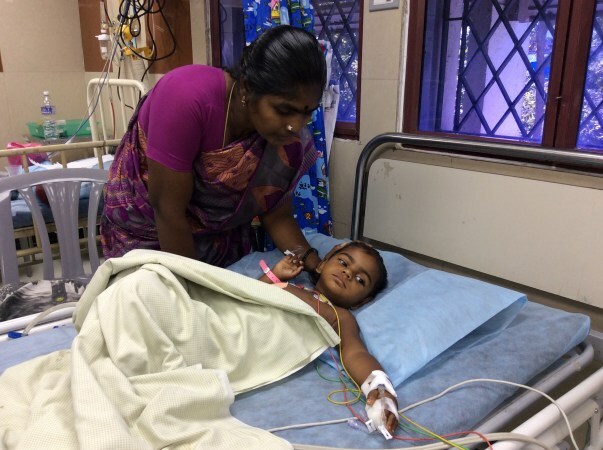 The child is progressing well and hence was discharged. Here is a photo of Surnamugil with her family before the discharge. 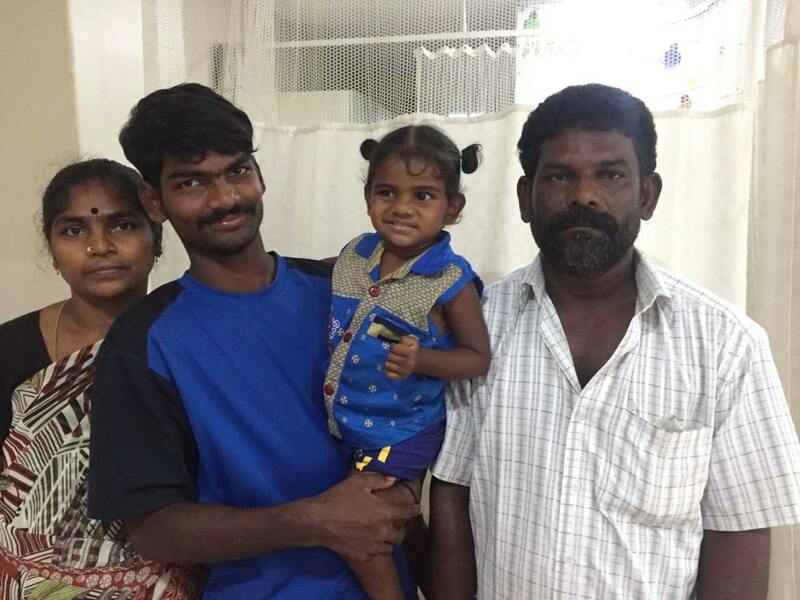 Guruswamy and Manimegalai are very thankful to each and every one of you for helping their daughter get the treatment. God bless her very soon with very good health. May i be able to help more. May Allah bless the child with good health. Prayers for Surnamugils speedy recovery! Sending across lots of prayers and blessings. May Maa Durga protect the little one.